The Prince may not move as fluid as Ezio Auditore does, but he's got plenty of new tricks up his sleeve. 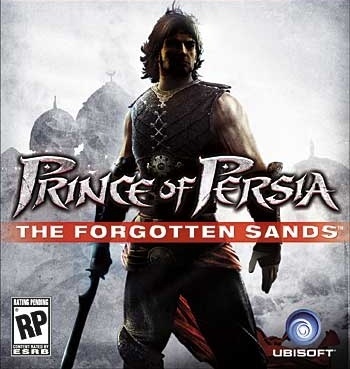 "When [Ubisoft] finished the Sands of Time trilogy," explained Ubisoft's Michael McIntyre, Level Design Director for Prince of Persia: Forgotten Sands, "There was a feeling at the studio that we knew the story was done. But we knew that some day we wanted to go back, but only if it was a worthy story and cool - only if it made sense." That was why the Sands of Time Prince was returning for this latest outing instead of the "alternate universe" version explored in 2008's Prince of Persia. The idea was that the Prince had gone from optimistic and naive in Sands of Time to jaded and grouchy in Warrior Within, and it hadn't just been years of pursuit by the Dahaka that had made him that way. That was normally the sort of thing that you'd see covered in a character arc, said McIntyre, but the trilogy ignored that arc completely. It was natural, then, to return to it to explore the character's hardening up. The Prince has left the Dagger of Time behind, believing that chapter of his life to be over (a belief that will be rudely shattered whenever the Dahaka shows up), though he does retain his iconic rewind-time ability - perhaps indicating, said McIntyre, that the key to the sands had been as much the Prince himself as the dagger the entire time. It was a good thing that he still had the time rewind, too, as the little demo build I played at the PAX East show floor had me tumbling to my death (and to my frustration) multiple times. In my defense, some of these falls resulted from my being distracted at the grand vistas unfolding before me, as the Prince scaled alongside a palace under siege. Some of the other falls resulted from my being accustomed to Ubisoft's other free-running acrobatic platformer (clearly, the Prince needs to take lessons from Ezio). Perhaps I have been spoiled by the ease with which Ezio tore across Renaissance Italy in AC2 by just holding down a few buttons, but Prince of Persia took a while to click with me, what with its outrageous requirement of requiring individual button presses for individual jumps and wall-runs (you mean I can't just hold it down?!) The game does feel a bit "sticky" right now, especially when it comes to animations like repeated wall jumping, but there's plenty of time for that to change. The Prince might not have his sand powers beyond the time rewind, but he does have some fancy new abilities giving him temporary control over the classical elements. It was important to keep these powers in mind when designing the levels, said McIntyre, because the Prince's abilities could affect his acrobatic platforming as much as anything in the environment. The moment water entered an arena, for instance, it became a tool thanks to the Prince's power to temporarily freeze things - turning spouts of water into columns to swing and jump off of, and waterfalls into just another wall to be scaled. Forgotten Sands will harness the power of the current generation systems to let the developers "indulge" themselves in really cool set pieces - McIntyre said that one of his favorites was a moment where the Prince, in the midst of descending an ancient spiral stairway into an equally ancient underground city, found the stairway collapsing under him and had to use his acrobatic prowess to survive. So you won't be getting any Dahaka references (probably not), but that doesn't mean Forgotten Sands won't be an epic game in its own right. The game will launch alongside the film starring Jake Gyllenhollandaise in mid-late May (May 18th, to be precise).